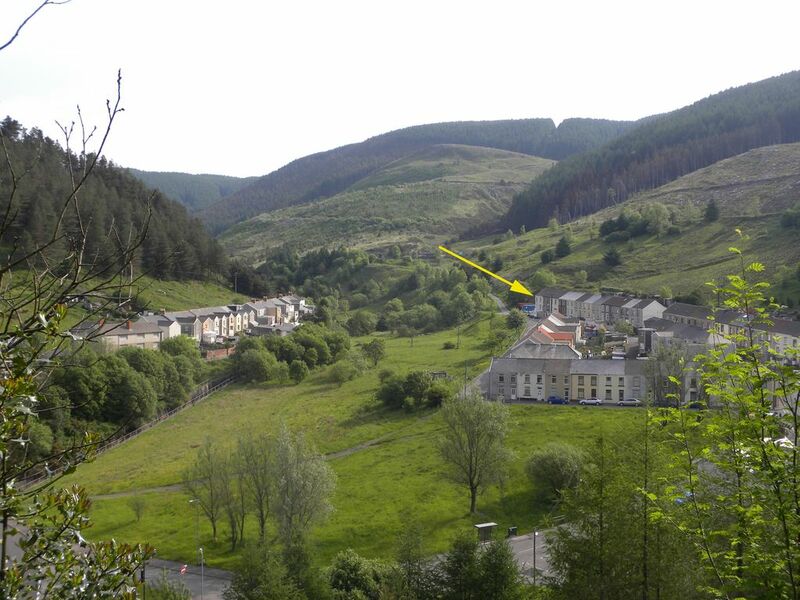 Afan Valley Cottage, in Blaengwynfi, is at the end of a no through road with open countryside beyond. There are many paths leading into the hills and the Rhielffordd Cycle Trail connects Blaengwynfi to the Afan trails in the area known as Little Switzerland. It sleeps up to eight and is also ideal as a family retreat. It is also perfect for mountain bikers, with its own secure lock up for eight bikes and outdoor bike cleaning facilities. The village has a mini-market, a Post Office, Chinese takeaway and, importantly, a good pub within walking distance. All bed linen and towels are included, as is electricity and gas and the dinner table surface can be removed to reveal a pool table. There is free unlimited Wifi. Hugh and Becky run a number of holiday cottages in South and North Wales and the Cotswolds where we live with our two daughters, two dogs and two ducks. This was our first holiday home - tucked away in an isolated but friendly village at the top of the Welsh Valleys. A lot of our guests are mountain bikers out on the Afan Forest trails but when we stay there we take the dogs out in the surrounding hills or down to the seaside at Porthcawl and Newton. Equally it is a short drive to the southern side of the Brecon Beacons and less than an hour to Cardiff so a useful base for exploring south and central Wales. On most days you can look out the front window and watch the weather. If that weather is good you can use the decking at the top of the back garden for a better view and possibly a BBQ. Nice property, close to good walks, dog friendly. We have enjoyed our stay. Afan Valley Cottage is in the village of Blaengwynfi on the edge of Afan Forest, an area renowned for its mountain biking trails. There is also plenty of walking and hiking in the local hills. The beach is 14 miles away and there is a retail outlet centre next to the M4 at Bridgend about 15 miles away. The village has a mini market, a chinese takeaway and two pubs.